Nine of 13 of Africa’s oldest and largest baobab trees have died in the past decade, it has been reported. These trees, aged between 1,100 and 2,500 years, appear to be victims of climate change. Scientists speculate that warming temperatures have either killed the trees directly or have made them weaker and more susceptible to drought, diseases, fire or wind. Old baobabs are not the only trees which are affected by climatic changes. Ponderosa pine and Pinyon forests in the American West are dying at an increasing rate as the summers get warmer in the region. In Hawaii the famous Ohi’a trees are also dying at faster rates than previously recorded. There are nine species of baobab trees in the world: one in mainland Africa, Adansonia digitata, (the species that can grow to the largest size and to the oldest age), six in Madagascar, and one in Australia. The mainland African baobab was named after the French botanist Michel Adanson, who described the baobab trees in Senegal. The African baobab is a remarkable species – not only because of its size and lifespan but also in the special way it grows multiple fused stems. In the space between these stems (called false cavities) bark grows, which is unique to the baobab. Since baobabs produce only faint growth rings, the researchers used radiocarbon dating to analyse samples taken from different parts of each tree’s trunk and determined that the oldest (which is now dead) was more that 2,500-years-old. They also have more than 300 uses. The leaves, rich in iron, can be boiled and eaten like spinach. The seeds can be roasted to make a coffee substitute or pressed to make oil for cooking or cosmetics. The fruit pulp has six times more vitamin C than oranges, making it an important nutritional complement in Africa and in the European, US and Canadian markets. Locally, fruit pulp is made into juice, jam, or fermented to make beer. The young seedlings have a taproot which can be eaten like a carrot. The flowers are also edible. The roots can be used to make red dye, and the bark to make ropes and baskets. 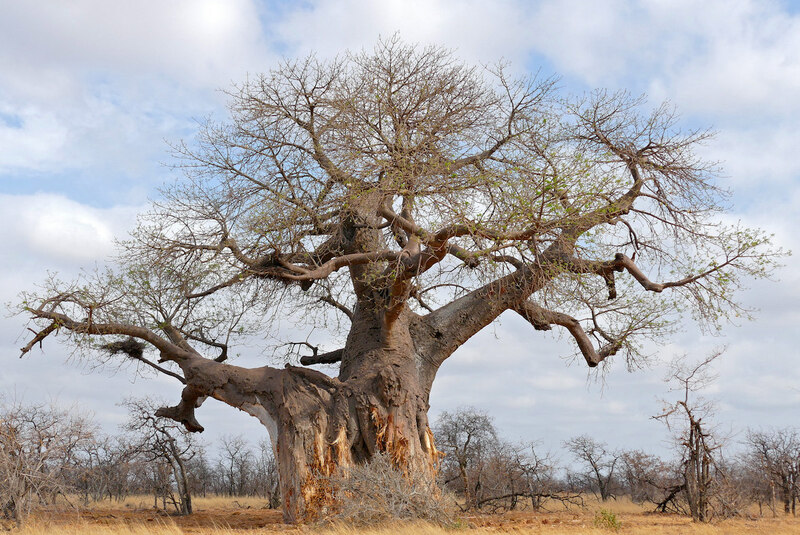 Baobabs also have medicinal properties, and their hollow trunks can be used to store water. Baobab crowns also provide shade, making them an idea place for a market in many rural villages. 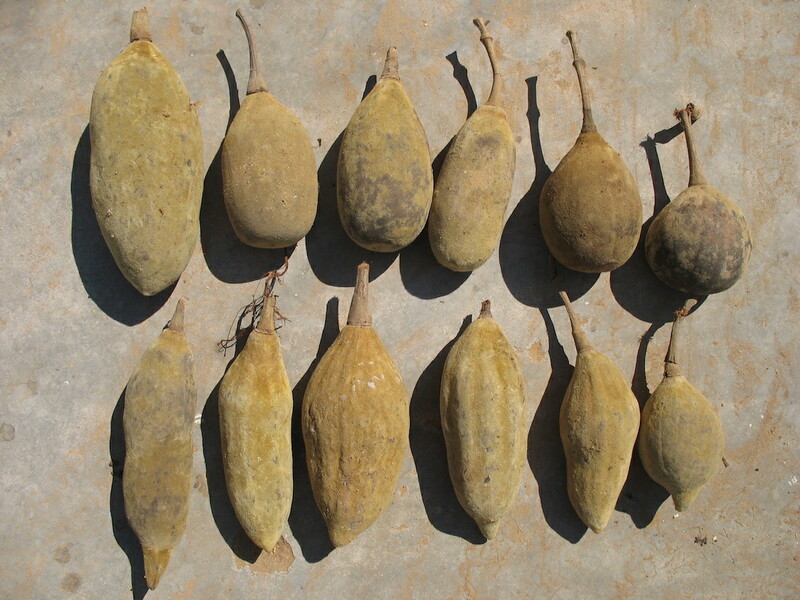 And of course, the trade in baobab products provides an income for local communities. Baobab trees also play a big part in the cultural life of their communities, being at the centre of many African oral stories. They even appear in The Little Prince. 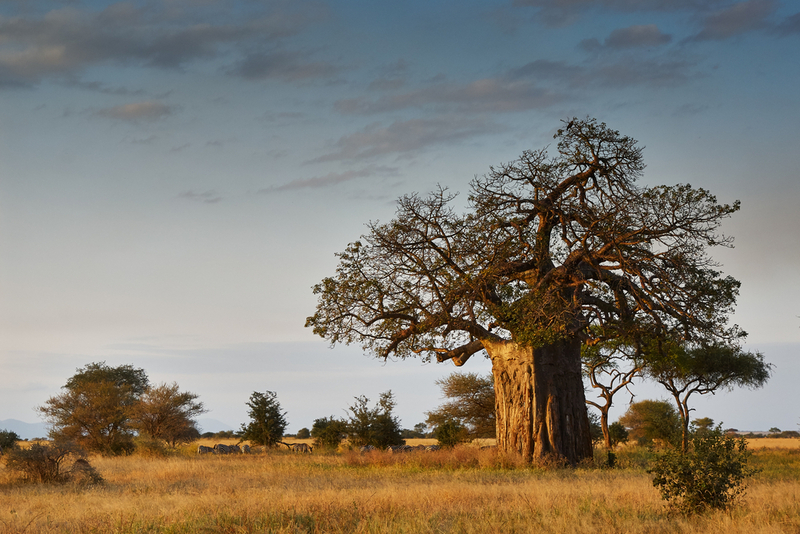 Baobab trees are not only useful to humans, they are key ecosystem elements in the dry African savannas. 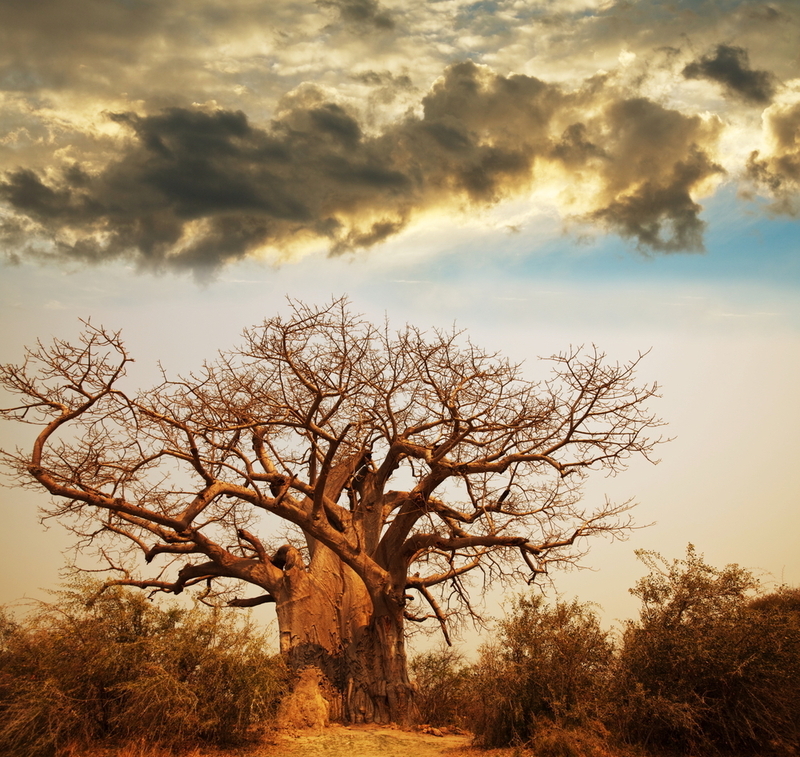 Importantly, baobab trees keep soil conditions humid, favour nutrient recycling and avoid soil erosion. They also act as an important source of food, water and shelter for a wide range of animals, including birds, lizards, monkeys and even elephants – which can eat their bark to gain some moisture when there is no water nearby. The flowers are pollinated by bats, which travel long distances to feed on their nectar. Numerous insects also live on the baobab tree. Ancient as they are, baobab trees can be cultivated, as some communities in West Africa have done for generations. Some farmers are discouraged by the fact that they can take 15-20 years to fruit – but recent research has shown, by grafting the branches of fruiting trees to seedlings, they can fruit in five years. Many “indigenous” trees show great variation in fruit morphological and nutritional properties and it takes years of research and selection to find the best varieties for cultivation. This process, called domestication, does not refer to genetic engineering, but the selection and cultivation of the best trees of those available in nature. It seems straightforward, but it takes time to find the best trees – meanwhile many of them are dying. The death of these oldest and largest baobab trees is very sad, but hopefully the news will motivate us to protect the world’s remaining large baobabs and start a process of close monitoring of their health. And, hopefully, if scientists are able to perfect the process of identifying the best trees to cultivate, one day they will become as common in our supermarkets as apples or oranges. It towers more than 30 meters above its neighbours.